BETHESDA, MD—Marriott International expects to add 11 new properties by year-end and a robust development outlook over the next five years in the UAE. Year-to-date, Marriott has added six new properties and is scheduled to add five more in the country—bringing its portfolio in the UAE to 59 properties and more than 17,000 rooms across six Emirates by the end of the year. Two of Marriott’s openings this year feature regional brand debuts—the eco-conscious Element Hotels brand, which opened earlier this year in Dubai, and the Edition brand, which opened in Abu Dhabi in November. Fueled by a demand for its range of lifestyle brands, Marriott plans to further enhance its footprint in the UAE with the addition of more than 20 new properties in the next five years. Marriott expects this development pipeline could generate more than 5,000 new jobs in the country. This year saw several milestones for Marriott International in the UAE, with Marriott anticipating having added a total of 11 properties and more than 2,600 rooms by year-end. 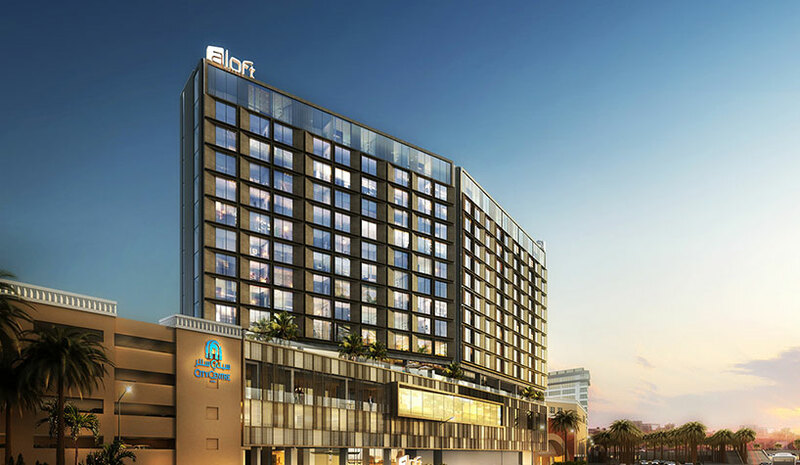 The design-led Aloft Hotels made its debut in Dubai with three new openings—Aloft Palm Jumeirah, Aloft Me’aisam and Aloft City Centre Deira—all within the first half the year. Marriott launched its eco-conscious Element Hotels brand in the region with the opening of Element Me’aisam. In the luxury space, the Ritz-Carlton brand opened its fifth property in the UAE—The Ritz-Carlton Ras Al Khaimah, Al Hamra Beach in Ras Al Khaimah. Marriott also took over the operations of the Yas Island Hotel, which is scheduled to be flagged as a W Hotel early next year, marking the debut of the brand in Abu Dhabi. Marriott is gearing up to open more properties by the end of the year. These include the Courtyard by Marriott Al Barsha; Four Points by Sheraton Sharjah—Marriott’s second property in Sharjah; Aloft Dubai South—the first hotel to open in the Dubai South district; and W Dubai—The Palm. The UAE is currently home to 16 of Marriott International’s brands, with more than 50% of its existing portfolio across its upper-upscale brands, including Marriott Hotels, Sheraton and Le Meridien. Marriott also has 15 properties across five luxury brands in the country. While Marriott’s development pipeline highlights growth for its upper-upscale and luxury portfolio, its select-service brands represent more than 70% of the development pipeline for the UAE. The growth of its select-service portfolio, which features brands such as Courtyard by Marriott, Aloft Hotels, Element Hotels and Residence Inn by Marriott, is in line with the UAE government’s efforts to expand the midscale segment in the country. Marriott International recently revealed that its global branded residential portfolio is expected to grow by more than 70% in four years as consumers increasingly seek residences in communities that offer a convenient lifestyle, array of amenities and services while real estate developers seek to differentiate and elevate their products with trusted brands. Marriott is seeing an increased demand for branded residences in the UAE and across the region. Across the Middle East and Africa, Marriott currently operates three branded residential properties, including the Bulgari Residences in Dubai, and anticipates to more than double its residential portfolio in the region with eight projects scheduled to open by 2022.